Heart Attraction - to Guru? and many more inquiries and questions will be addressed here. ﻿The heart leaps in Joy and with a Fiery bliss. The heart feels almost as if this is pain, which is just the aching pain of yearning to be with Guru. The heart reveals an attraction, and the way each person relates to this attraction varies. When a person meets their Guru for the first time, or meets a person in whom they feel a leap of joy in their heart, there appears all sorts of interpretations. These interpretations are always based on that individual’s world-view (or current development in human growth); thus, what follows is the basis of that person’s conscious relationship to the experience, or ongoing experience of heart attraction. If they are Christian and they feel the Heart leap with Joy they tend to associate that with the Holy Spirit, and if a person is a devotee of some great yoga tradition and the Heart leaps with Joy that one will tend to associate and define their experience along those cultural lines. The Presence of the Heart is not there to justify your religion, dogma, belief, or spiritual tradition; instead, the Holy Heart Presence of God is there to move the individual beyond the limitations of their religion and/or tradition. The Heart has Only One Song (which Transcends all), but it appears in various ways, and in various degrees in all traditions and religions devoted to God (True Eternal Everlasting God). The Divine Light of Reality is not bound to anyone particular religion or tradition, and/or set of dogma or beliefs (contrary to popular belief); albeit, religions and spiritual traditions tend to place limits and boundaries on the grace and work of the Holy One through their human made rules, which some are justified and others not. The Heart overwhelms all with its Very Own Self, and those that are subtly heart awakened, but not Heart realized always notice other people that are subtly heart awakened, especially one that is Heart realized, regardless of how a person interprets the experience. The overwhelming force of the Divine Presence of Existence/God can also generate a deep and intense experience of fear. The fear is connected to the egoic form of self feeling (false sense of self). It creates a fear that renders the person involved with the experience thinking that if they allow the body/mind to totally surrender unto the Overwhelming Force of God’s Holy Presence they will become non-existent, or cease to exist, and it intensifies into the feeling of total and eternal death. A person may experience fear in relation to me because the heart attraction is happening with someone not associated with their religion, or someone not in-line with their religion. If this is the case, remember Enbrightenment is an integral spiritual tradition, and not here to convert people to Enbrightenment (that is a personal choice), or make a person feel like they have to leave their current religion or tradition. ﻿Heart attraction becomes an issue for some people because the heart attraction is happening outside of one’s normal sexual preference. In other words, a male that is not gay may happen to feel this attraction towards another male (or male Guru or me) as though it is sexual and not spiritual. Furthermore, this creates an internal conflict with that person’s sexual identity, it creates confusion (especially if this is potentially their Guru), and it can end up leaving the person reacting negatively instead of positively. Or, if there is no conflict regarding sexuality then the person assumes it is a sexual attraction and goes with that relationship towards the person. For most people this is not necessarily a problem, people just go with the feeling or reject it based on a relationship they already engaged in. However, in relation to the Guru a person should not become disturbed by the mixed sexual feelings that seem to surface through the heart attraction; simply notice them and Transcend such mental activity as though none of it is you. Transcend these feelings, that seem to be sexually related, by not identifying with them, or allowing the thoughts or ideas to define Who you Are (Eternally, in the Face of God). See all thoughts as if they are clouds in the sky, and these clouds do not define you, make you, or create you; you Are with or without conditional life, and no amount of thinking ever actually defines you, makes you, or creates you. The folly in all of this is that people are generally Unaware consciously of the esoteric anatomy (Spiritual Cross). The lack of a real understanding leaves people vulnerable to reacting to this heart attraction (or Any activity within the Spiritual Cross) in an egoic, self serving, and selfish manner. Some people use this attraction against people, and dark people use heart attraction to manipulate and take all they can from another. Humans tend to abuse and misuse what is there to help bond people together, and what happens to be there to bring about a collective transformation of global proportions. Humans tend to abuse and misuse what they do not understand, and if there is understanding it is still abused because of greed and selfishness. Many false gurus fall into this trap because they are still entangled with ego and trying to serve as Guru. ﻿Guru can only serve an individual until the individual has grown beyond the Guru’s living realization, but if the Guru is whole bodily realized, meaning the whole Spiritual Cross is Awake and Freely Realized within that individual, then Heart Communion with the Guru will be the final tipping point/growth point in one’s spiritual practice before there is whole bodily Enbrightenment. Even the idea and bodily relationship of Guru and devotee is dissolved in Pure Heart Communion, in the right heart of the Spiritual Cross. In the Divine Brightness of God (Reality), God Only Is. Heart attraction turns into heart communion with understanding and clarity, and truly with Heart Recognition, immediately followed by Heart Realization. Heart attraction to the Guru is heart attraction to God. The Guru offers heart communion through heart attraction, and heart attraction comes first followed by the transforming of heart attraction into heart communion through whole bodily communion with the Guru. No one ever grows beyond the value of the heart transmission of the True Guru; instead, all relationships of separation, in all forms, dissolve via the bodily relationship of Guru devotee. Everlasting Inherent Undifferentiated Perfectly Happy Love-bliss Bright Oneness is the Realization of heart communion, and heart attraction is the vehicle that catalyzes (or starts) this whole bodily process. Realization is beyond bodily form, but Realization transfigures and transforms the body/mind to function freely and always through the Heart of consciousness, which Is Realization. There is generally a lack of understanding of Guru everywhere, all over Earth, and in every culture and religion. This is because people generally are clueless about heart attraction, much more they are ignorant of heart communion (thus, part of this work here is to help the reader learn about True Guru). For a majority heart attraction has been noticed or acknowledged only in a primitive conscious bodily relationship. Heart attraction plays out with the family first, and the individual feels heart attraction towards mother and father, and brothers and sisters, even next of kin. Then as the person grows up meets more people they begin to notice the same heart attraction with others, but it becomes a way for the individual to feel separate and different. Heart attraction becomes a tool for the ego to support the conscious activity of ego identity, of the feeling of self separation and otherness. The deep problem is that people, in general, are totally ignorant of what is really going on, and most people have not developed consciously within their self and in relationship with others beyond earlier stages of human growth and development. ﻿The Heart is the root of consciousness, it is the root of humanity’s evolution, the evolution of the universe, and the Heart of consciousness is the tangible substance of existence. 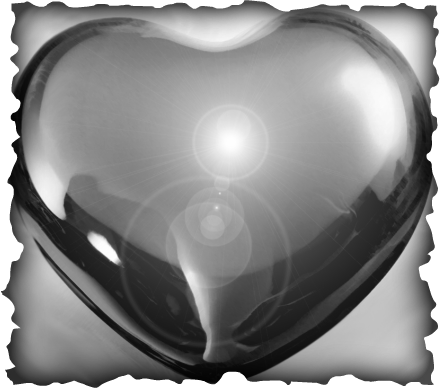 Heart attraction and Heart~Fire (especially) for those that are subtly (subconsciously or unconsciously) heart awake, but not truly realized, are most often felt in the center heart of the Spiritual Cross. This is where most meet the Guru first, but since the center heart has been involved with all sorts of (egoic) relationships the individual confuses and misunderstands heart attraction in relationship to Guru. The center heart serves as the heart of universal love for all, and it serves as a unifying (bringing together) heart of consciousness across all degrees of consciousness. However, the conditioning of the body/mind leads the individual to initially have a confused conscious relationship with the Guru. The reason this heart is felt more often than the left heart or even the right heart is because at our earliest of years many people experience deep universal love via our parents (or with whomever raises the child). That is the kind of love that sees all as oneself, and that kind of love is freely radiant in a child. Moreover, the left heart and the right heart are primarily reserved for deep spiritual growth, and not something that just springs up with random people, places or things. The left heart and right heart will Awaken with heart communion with the Guru, and each heart serves a particular function in the spiritual process. The attraction an individual notices with another is really universal consciousness reaching out and seeking to love another whole bodily. Therefore, when heart attraction appears with the Guru a chance to Truly Know the Heart of God (and Truth) dawns for the individual. Although a person may consciously notice heart attraction with me (Guru of Enbrightenment) it is not to be understood in the same context as all other relationships that appear through heart attraction.